Jennifer Shelton currently serves as the Director of Human Resources for Hitachi Vantara Federal (HVF). Jennifer is responsible for providing c-suite human resources partnership as well as best in class leadership. Jennifer is a solution oriented, results driven HR partner, she delivers value-added human capital initiatives aligned with business growth, and top-line revenue generation. Jennifer brings more than 15 years of Human Resources experience to her clients. Most recently, Jennifer served as the Associate Director, HR at JLL, and partnered with a multitude of clients within JLL including: Mid-Atlantic region, National Property Management, National Retail teams and the Boston/NE region. 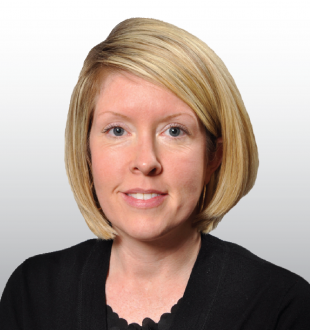 Prior to her time at JLL, Jennifer served as the Regional HR Manager for Enterprise Rent-A-Car, where she was responsible for driving and delivering human capital initiatives and results within the MD|DC|VA regions. Jennifer obtained her Bachelor of Science in Family Studies-Psychology from the University of Maryland. She performed her Master of Science in Human Resources Management at University of Maryland University College. She holds professional certifications: PHR, SHRM-CP and CDR.